Hot Paprika Coreopsis | Gurney's Seed & Nursery Co.
Easy to grow and drought tolerant. 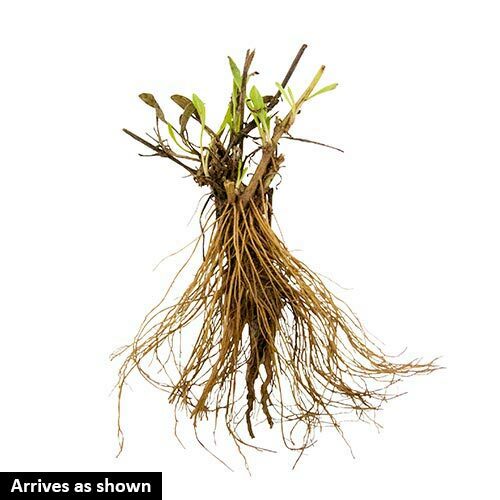 For each offer ordered, get 1 bareroot. Deep red flowers bloom from early to late summer. Growing 15-18 in. tall, these perennials have a compact, mounded habit and make a big impact in containers, borders and cut-flower arrangements. Drought tolerant, once established. Full sun. Zones 5-9. Patent PP28522. PruningRemove spent flowers to ensure continued blooming. CommentsPerfect mounds of rich color for the landscape! 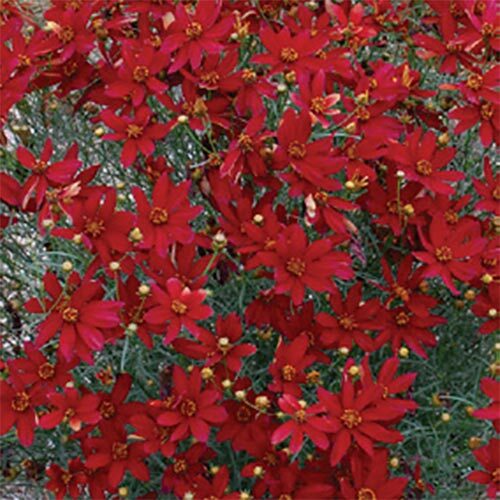 These flowers are saturated with intense, deep red color from early to late summer. Their perfectly compact, rounded form looks great at the front of a border. Spread throughout a border for pops of color, plant en masse for big impact, or add to a container. Fine, threadleaved foliage adds a great textural contrast to the landscape. Butterflies love these beauties! They also look great in bouquets. Once established, they become drought tolerant. Botanical NameCoreopsis verticillata 'Hot Paprika' Patent PP28522. DepthDig a hole large enough to fit the roots, without having to bend them. Be sure that all roots are covered and the part where the roots meet the plant is at ground level.